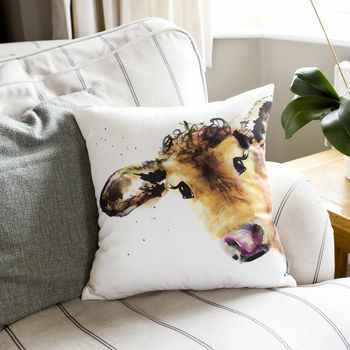 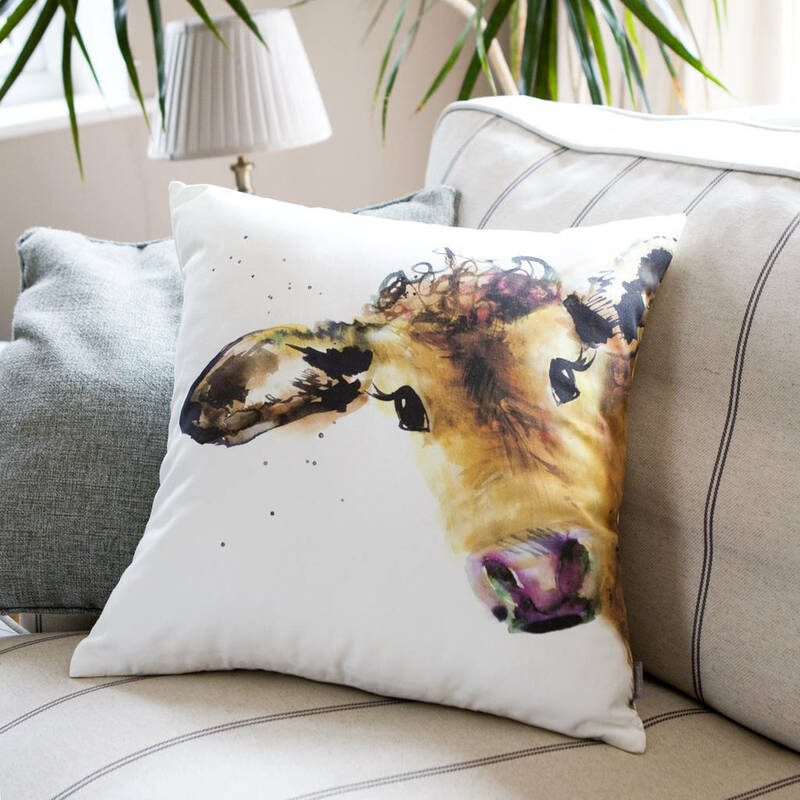 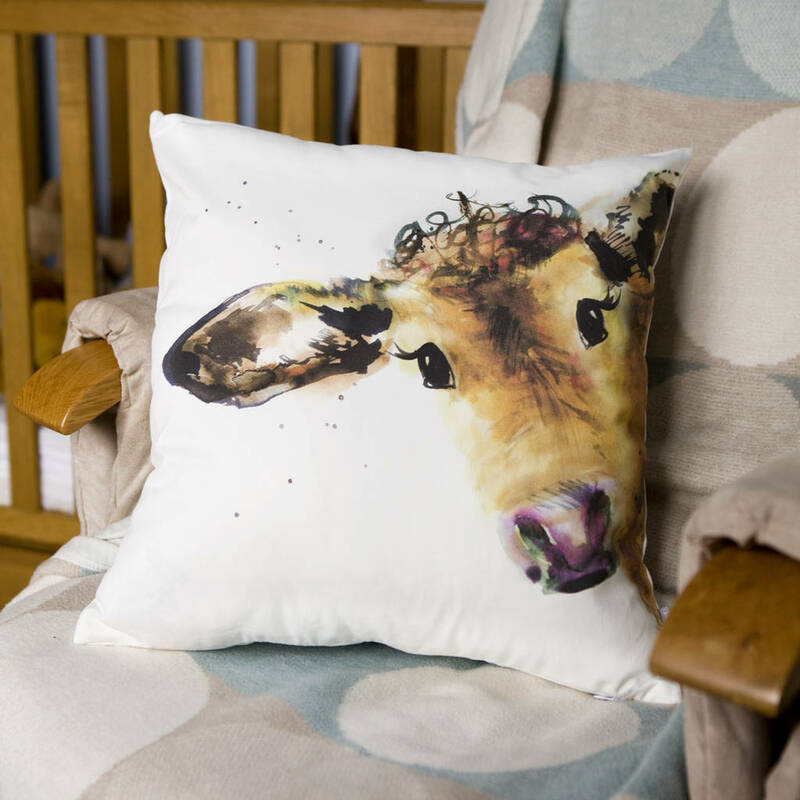 A super luxurious cushion with a removable cover, celebrating my hand drawn inky illustration of a friendly cow. 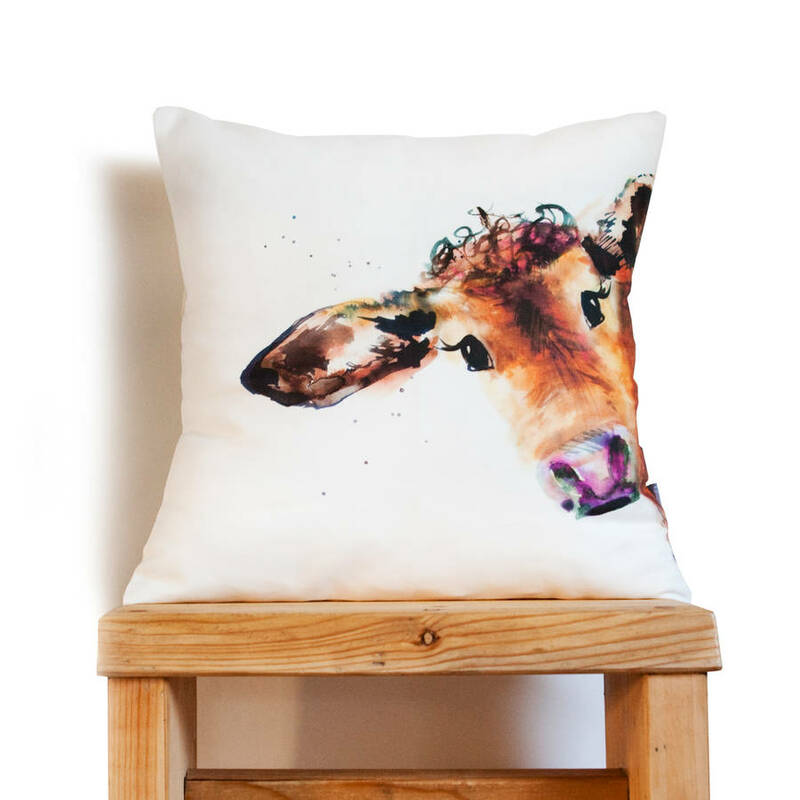 The cover is heavy linen-canvas fabric of my own design backed with complimenting fabric. The covers are either flap opening or hidden zips to prevent any scratchy edges that might damage leather sofas.Proudly made in the UK.